Even in Texas, the Connecticut school shooting has pounded new urgency into the debate over gun rights. Even in Texas, the Connecticut school shooting has pounded new urgency into the debate over gun rights. And the discussion is likely to continue in light of another shooting Sunday night at a San Antonio movie theater in which two people were injured. As the Houston Chronicle notes, though, the loudest debate in Texas in the aftermath of the Connecticut tragedy has focused on whether to expand, not restrict, gun rights. "Had there been [armed security guards and citizens] in Colorado, at Virginia Tech or now in Connecticut — someone that could have changed the dynamic and to do so by having a firearm — there would be fewer lives lost," Land Commissioner Jerry Patterson told the Chronicle on Friday. In an appearance on Fox News Sunday, conservative firebrand Louie Gohmert, a Republican congressman from Tyler, echoed Patterson's comment, saying the Connecticut school's principal, Dawn Hochsprung, who was killed while trying to protect students, should have been armed. 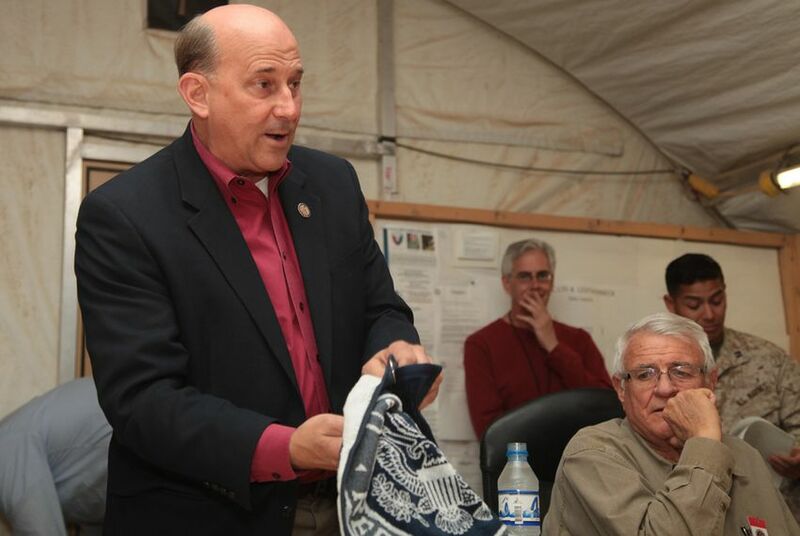 "I wish to God she had had an M4 in her office locked up so when she heard gunfire, she takes it out … and takes his head off before he can kill those precious kids," Gohmert said. Talk of arming school officials drew the ire of critics of such policies. In 2008, the Harrold Independent School District, northwest of Fort Worth, became the first district in the state — and the nation — to allow teachers to carry concealed weapons. "I seriously hope we don't see the idiocy come out again in Texas of, 'Why don't we just arm teachers?'" said Gayle Fallon, the president of the Houston Federation of Teachers. "But I'm sure we will in the legislative session. This country needs to get guns under control, and I'm not particularly anti-gun. I own them, but there should be some controls on who can own one." Gov. Rick Perry, who strongly supports gun rights, issued a statement on Friday urging the state's school districts to "review their emergency operation plans to ensure all schools are prepared to respond to potential threats like today’s tragic school shooting." More than half of the nation's governors have joined Rick Perry in refusing to set up their own health insurance exchanges, a provision of federal health care reform that would allow consumers to compare and purchase medical coverage plans. On Friday, the deadline for states to announce their plans, the government said 17 states had committed to running their own exchanges. The new health care law stipulates that the federal government will impose a one-size-fits all program in states that fail to set up their own exchanges. Is Travis County the nation’s Libertarian Party stronghold? So asks Politico, which has presented the evidence of two activists who say Libertarians fared better in the Austin area in 2012 than they did in any large county in the U.S. Among their stats: Libertarian presidential nominee Gary Johnson won 2.7 percent of the vote in Travis County, his best performance in a large county outside New Mexico, his home state. Adding to the list of woes plaguing the embattled Cancer Prevention and Research Institute of Texas, the Tribune's Jay Root reported Friday that much of the $1.2 million in private funds raised to help the agency last year instead benefited consultants who oversaw the money. "It seems to be working out well for the director over there. It appears that she, as head of the CPRIT Foundation, is paying herself … an enormous amount of money," said Andrew Wheat of the liberal watchdog group Texans for Public Justice.